If, like me, you're sill yet to complete your Christmas shopping then you're in luck! So many sites and stores have started their sales making purchasing those last minute gifts all the easier. And, letting you spoil your loved ones with twice as many treats. Lots have people have messaged me asking for a few last minute gift ideas and so I'd thought I'd pop together a little edit of pieces I love for under £100 - with pieces, like this super sweet coaster for under £10, that'll make great stocking fillers! Festive cheer has hit me a lot earlier than usual this year and I’m really feeling so Christmas-sy which is quite unusual for me as I normally only get into the spirit of it on Boxing Day – which is a little too late. 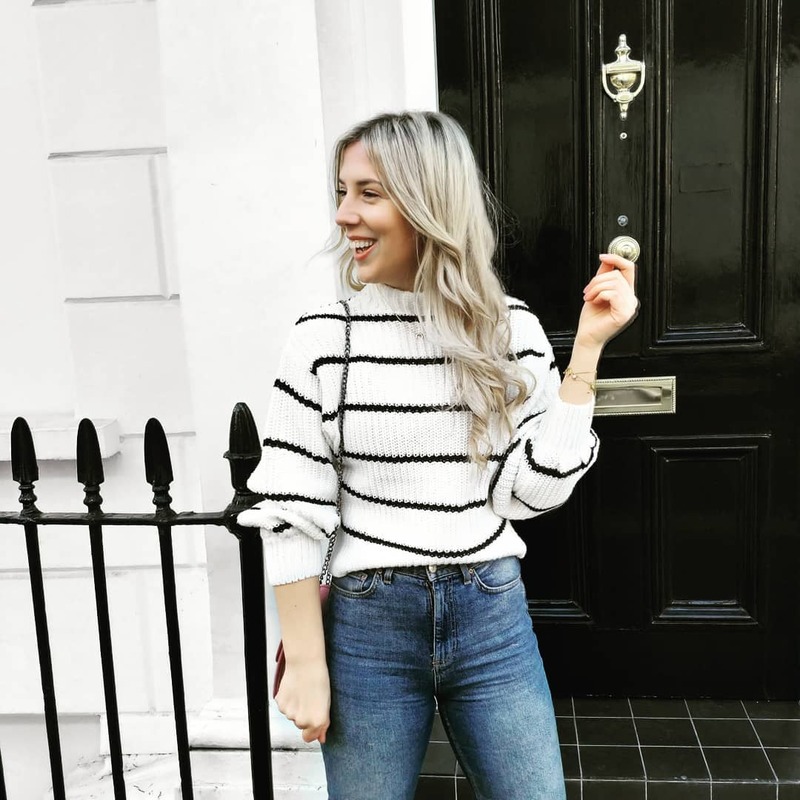 1, Pop on a Christmas jumper, it maybe a little early but nothing gets you feeling the cheer quite like a novelty knit - shop my favourites here! 2, Have a glass of mulled wine even if, like me, you hate mulled wine. The warm, spicy smell you’ve grown to associate with Christmas markets and Winter Wonderland will soon get you feeling merry (especially after a couple of glasses)! 3, Go ice-skating. If you’re in London pop to the Natural History Museum or Somerset House and go Ice Skating with some friends. Irrespective of your skating capabilities you’re bound to have so much fun. The Natural History museum where Swarovski have decorated the tree, there’s a carousel and even a cosy bar overlooking the rink serving mince pies and mulled wine. 4, Go window-shopping. Department stores such as Selfridges, Harvey Nichols and Liberty are internationally renowned for their iconic window displays. The two Christmases I worked for Selfridges were definitely the years I felt most festive as an adult: ballerinas, brass bands and elves visited each floor putting on wonderful performances. If you're in London be sure to check out the Christmas lights adorning key touristy areas like New Bond St, Carnaby Street and Regent Street are all beautifully lit up. 5, Give to a homeless person. Nothing breaks my heart quite like seeing a homeless person on their own on a freezing cold winter’s night, so whether you can only spare a pound, a sandwich or a hot drink it’ll absolutely be appreciated. With so much focus around buying presents and purchasing new things, it’s quite nice to be reminded of the little things you can do that make a big difference. 6, Have a Mariah moment and sing along to ‘All I want for Christmas…’ in the car/shower/whilst washing up. 7, Treat yourself to a festive drink in one of those oh-so instagrammable red cups and say yes to cream for once – you deserve it. 8, If you haven’t got a tree already you’re absolutely not too late. Pop and get one and then decorate it, picking your own theme (however mismatched it ends up being), baubles and lights is one of the real perks of being an actual grown up. 9, Pop on some Bublé, make a hot chocolate and wrap all of you Christmas gifts up. 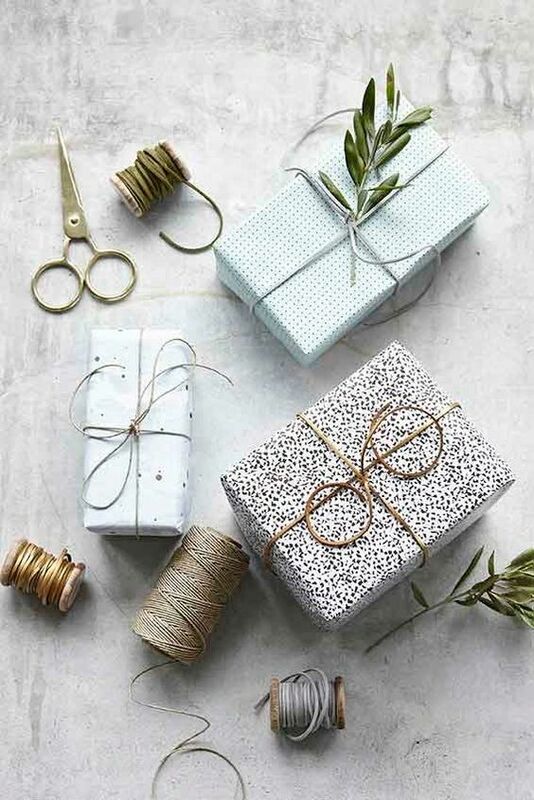 Settle down with all your glitter tape, cute parcel paper, ribbon/string and enjoy wrapping – it’s pretty satisfying to get it all out of the way before Christmas eve. 10, If you're outside of London go for a drive, when I was younger my Mum would take us all out to see the best Christmas light displays around our local area, and often the county. Nothing says Christmas quite like an over the top display of lights and singing Santa decorations. 11, Watch your favourite Christmas films, one after the other. We did this last weekend and I'm sure we'll be spending Sunday wrapping presents whilst watching Elf for the thousandth time. If Buddy can't get you into the holiday spirit try Christmas classic Miracle on 34th Street. 12, Treat yourself to a festive manicure. Whether that means all out glitter and glitz or a classic autumnal shade, there’s a lot of events, parties and functions between now and Christmas and a cheeky shellac will see you through. 13, Invest in some cosy, cheap and cheerful Christmas pj’s from Primark. Noone does festive pyjamas quite like them. Maybe get some festive bedding or socks whilst you’re in-store too because, why not! 14, Go all-out with fairy lights. Drape them around your bed, across your lounge and along your kitchen window ledge because twinkly fairy lights make everywhere (even the smallest saddest rooms in rented flats) feel snug, cosy and festive. 16, Reach out to old friends you may have not seen as much as you’d hoped this Christmas, plan (and do) drinks of dinner. There’s no better time to reconnect with loved ones than Christmas. 17, Play all the games. ALL of them. Christmas is not Christmas without playing all of the games by the fire. 18, Treat yourself to a tin of Roses each time you pop and do your weekly shop because having chocolates for breakfast is only really ever acceptable in December. 19, Slowly switch off and give yourself a little break, if you haven’t made it to the gym as much as you’d hoped to, don’t worry – that’s what January is for! Give yourself some ‘you’ time and enjoy it! 20, Finally make some ridiculous Camembert bread dish that you’ve seen whipped up in one of those foodie facebook videos. Calories totally don’t count in December. 21, Make yourself the most Christmas-sy of playlists for your drive home for Christmas – I’ve already got my boyfriend working on ours! Blaring out The Pogues whilst driving up the M1 is pure festive feels. I don't know if it's just me (and a fair few of my gals) but buying for boys is hard. Shopping for him and finding something other than a: fragrance, wallet, top, jumper or pair of luxe slippers (delete as appropriate) is HARD. Really hard. This Christmas is proving tougher than previous years - mainly because pretty much everything I bought everyone last year is still working/being used/not run out yet - so I've needed to up my ante and look at a few alternative ideas and options. So, here we are. 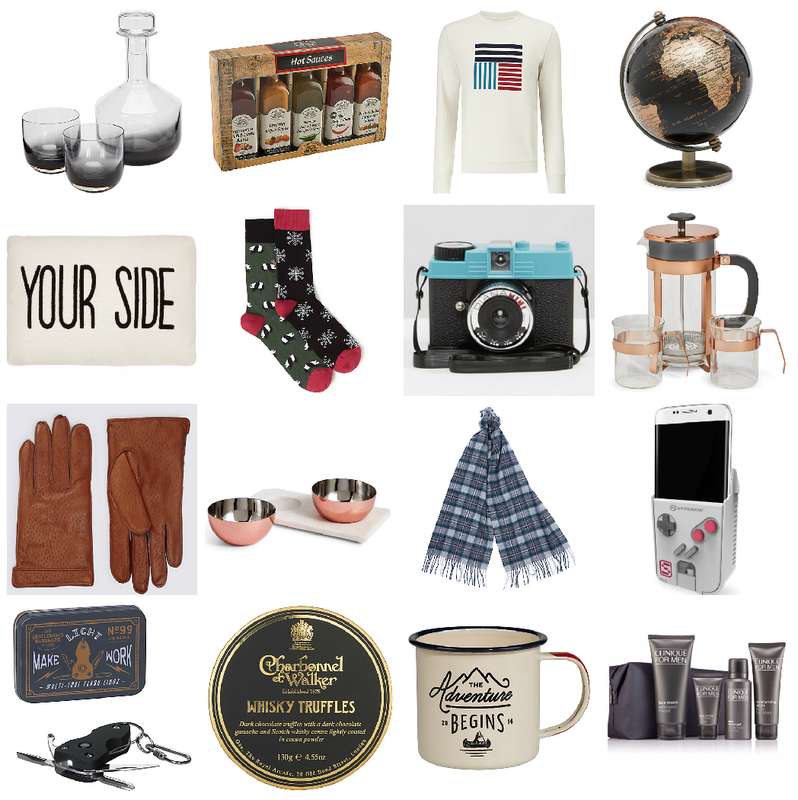 I thought if I was having this much trouble finding great gifts for him some of you might also be too so here are a few of the bits I've found and loved across the internet for guys. Everything is under £100 - it's mostly under £50 but I can get a little carried away sometimes. *Disclaimer, I obviously don't know your boyfriend/dad/brother/pal so he still might hate some of these - sorry, I told you it was hard! So we're almost at the end of November and, as I shopped the (seemingly never, ever, ever... ending) Black Friday deals I couldn't help but think of my yet-to-be-finished Christmas shopping and the stocking fillers for my sister, boyfriend, family etc... that I'm yet to buy. I don't know about you but, stocking fillers and Secret Santa gifts become an increasingly harder buy for me as each year everything becomes a little bit more expensive and it becomes impossible to find anything within your budget that can muster some kind of festive cheer. Thankfully Warehouse are crushing it with their stocking filler game this year and have oh-so many chic options: from snug scarves to statement earrings - that'll work for everyone! From your sister to your cousin and auntie, there's something for everyone and, as those of you who've read my blog for a while will know I so appreciate a one-stop-shop. 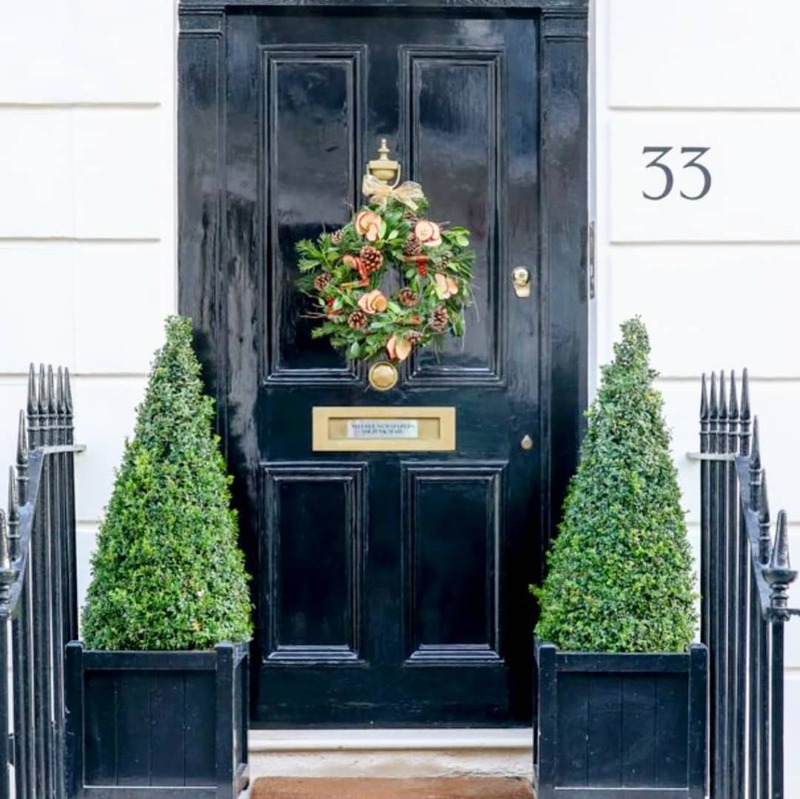 So whether you're only just thinking about Christmas or have nearly finished your shop, I thought I'd share a few of my favourites from the high-street incase you're being very prepared or just quite simply fancy treating yourself to a little something. 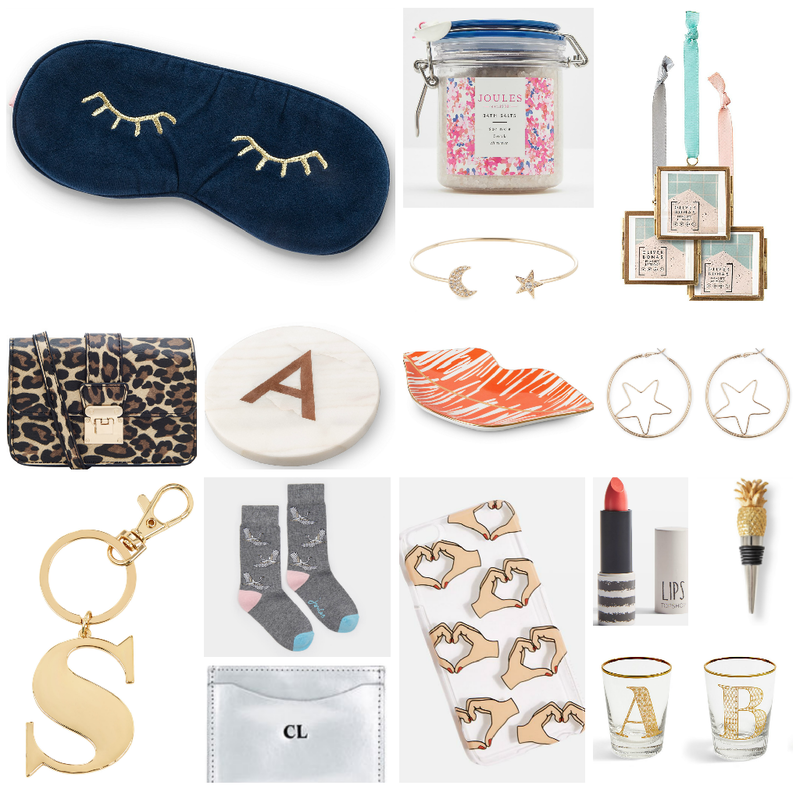 My personal favourites include Oliver Bonas' chic navy eye mask with delicate and adorable gold stitching as well as Warehouse's pretty and personable monogrammed gold keyring's - both of which are inevitably the presents you purchase with the intention of treating your best friend but somehow always end up keeping the gift for you and repurchasing another for them.